Welcome to Discover More: reading made as cool as the web. Books you can browse through: surfing through pictures frame by frame, or picking up quick facts and snippets. All with a free digital companion book of activities, games and fun. Now it’s the turn of birds to get our special series treatment. That means birdwatching tips and loads of amazing bird facts to get you flying high. You’ll make your own birdwatching journal and bird feeder. 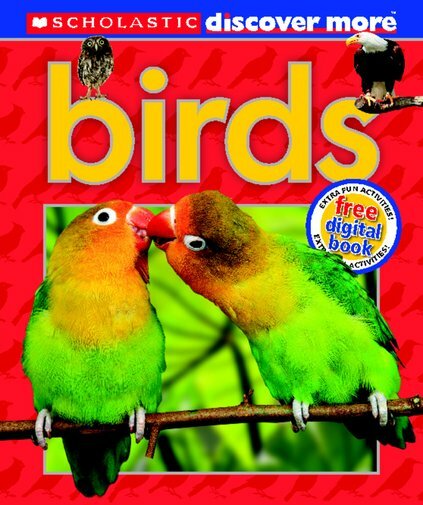 Just turn to the FREE digital book for audio birdsong and more great stuff.